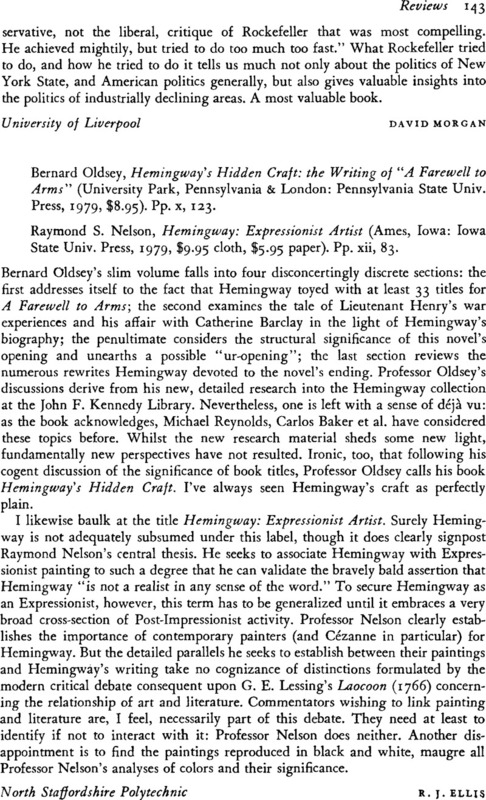 Bernard Oldsey, Hemingway's Hidden Craft: the Writing of “A Farewell to Arms” (University Park, Pennsylvania & London: Pennsylvania State Univ. Press, 1979, $8.95). Pp. x, 123. - Raymond S. Nelson, Hemingway: Expressionist Artist (Ames, Iowa: Iowa State Univ. Press, 1979, $9.95 cloth, $5.95 paper). Pp. xii, 83.